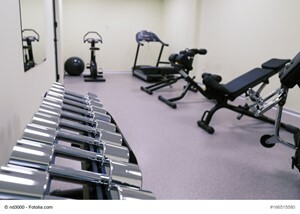 Although your home gym has helped you stay in shape for many years, packing your dumbbells, an elliptical and other exercise equipment prior to moving day may prove to be exhausting. Fortunately, we&apos;re here to help you take the guesswork out of packing your exercise equipment. Now, let&apos;s take a look at three tips to help you prepare your exercise equipment for moving day. Weights come in many shapes and sizes, and you should allocate plenty of time and resources to ensure your weights won&apos;t move while in transit. Let&apos;s face it – disassembling an elliptical, treadmill or other exercise equipment can be challenging. Perhaps even worse, putting your exercise equipment back together at your new home may be virtually impossible, particularly for those who struggle to stay organized. Before you disassemble any exercise equipment, take a photograph of the equipment itself. Capture images of your exercise equipment from all angles, and you&apos;ll be better equipped than ever before to properly put this equipment back together once you reach your new address. Don&apos;t forget to keep track of the steps that you follow to disassemble exercise equipment too. That way, you&apos;ll know exactly what you&apos;ll need to do to quickly reassemble your exercise equipment.